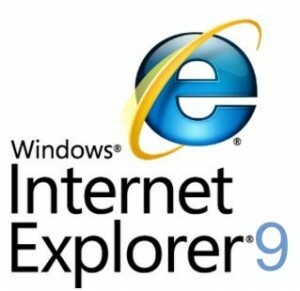 Internet Explorer 9 launched the other day and it seems to be gaining popularity quite quickly. The latest version of the world’s most popular web browser scored some 2.35 million downloads in the first 24 hours of its existence alone, which is pretty impressive. That makes over 27 download per second or nearly 100 000 downloads each hour. Now that might not be as impressive as the Mozilla 3 Guiness Book record (over 8 mil in 24 hours), but if the trend continues Microsoft will finally be able to stop the rapid shrinking of the IE market share and might even start fighting back at some point. Chrome has been putting a lot of pressure on competitors lately and with Firefox maintaining its sizable market share the expansion of the Google browser was mostly at the expense of Internet Explorer. Plus the final version of Mozilla Firefox 4.0 is just around the corner (22 March, to be precise), so the strengthening of the Microsoft browser positions couldn’t come at a better time. You can check out our coverage on the IE9 launch, complete with benchmark and screenshots of the new browser. Also here’s the video from the press conference, highlighting the main strengths of IE9. Unfortunately, despite the huge number of downloads, according to our server logs, the share of IE9 visitors to GSMArena.com has not moved an in inch, and IE6 visitors are still up to 10 times more numerous.